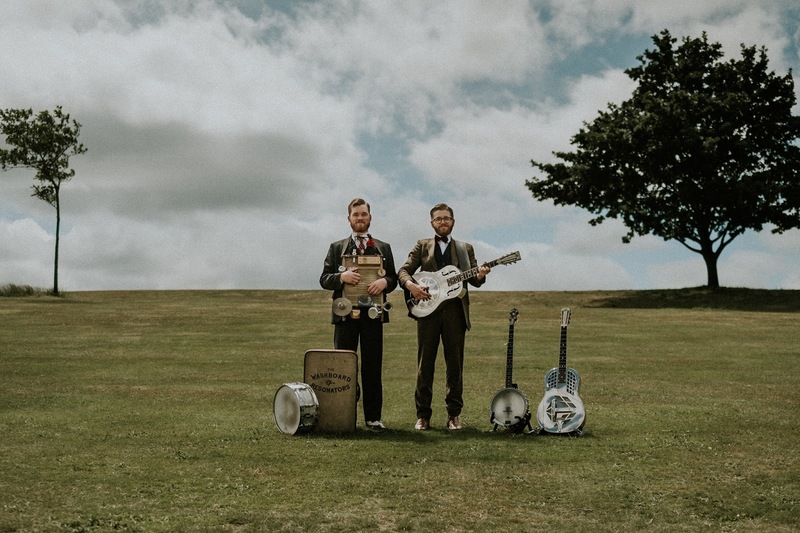 The Washboard Resonators are a duo that play foot-stomping blues, vaudeville, ragtime, hokum, skiffle, swing and folk like it was in the 1920s, 30s & 40s. On stage, you can expect a varied and entertaining show with upbeat songs, harmonies, tap dancing and an array of old instruments, including; washboard, resonator guitars, banjo, ukulele, snare drum, suitcase bass drum, spoons and our very own invention—the kazoosaphone. The duo’s material comprises of both original and carefully arranged traditional numbers by their favourite artists. These artists include; Blind Boy Fuller, Louis Armstrong, Fred Astaire, Robert Johnson, Lonnie Donnegan, Tampa Red and The Washboard Rhythm Kings.